Family and I are heading down to Uvongo(Via Bulwer onto Ixopo and onwards-cannot bare the thought of missing a scenic route). On the way back home, Which route could I take to have a really nice drive along, over, through the Drakensburg? I have the Everest 4x2, so not sure as to where I will be able to go? Would like to show the family some of our countries beauty, but have NOidea of the routes through the berg. I always enjoy the more scenic route, so hoping you folks could point me in that direction. If t is nice and dry, come up with Bezuidenhouts pass. Will not tackle it with a 4x2 alone in the wet, purely due to safety reasons. Bezuidenhouts pass can be very bad if it rains,of after rain. 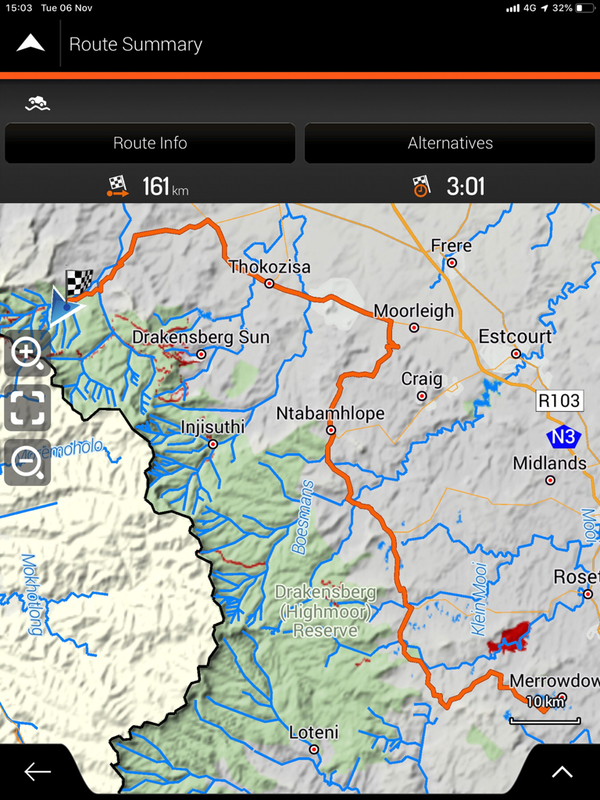 to include Bergville and Bezuidenhouts pass to Harrismith can add another few. From Underberg one can take the Loteni road (gravel) all the way to Nottingham Road, then carry on to Mooi River, Winterton, Bergville and onwards like mentioned above. Also remember that you can now do Sani Pass in a Porche if you want - the road is tarred all the way to the top. Head to Himeville from Underberg and carry on into Lesotho. When did you drive the tarred road? I don't know where Drakensburg is, but for spectacular beauty over the Drakensberg maybe try the Normandien Pass between Newcastle and Memel. It's rough, but you 4x2 Everest should be able to handle it. I would also suggest the Lotheni Road between Nottingham Road and Himeville; simply beautiful. If you're going past Weza on the N2, stop at the Ingeli Forest Lodge and do some of the easy hikes in the very special Ingeli Forest, one of the few forests where Henkel's yellowwood is a dominant species. My bad... "Sections of the Sani Pass are tarred"
I didn't drive it myself, but I have heard that it is now more accessible with 2x4's. Can anyone verify this? I like taking the Oliviers Pass down instead of Van Reenen. Takes you past Little Switzerland, Sterkfontein dam. Through Bergville and Winterton. I get back on the N3 just past Winterton and then off again at Mooi River. Nottingham Road R103 all the way past Hilton. Back on the N3 in Pietermaritzburg. Stop at the Howick falls etc. Sounds like the one I might be taking this time round.... what is the travel time usually on this stretch? Quite difficult to tell you honestly. Tend to take our time on this route so the time i give you will not be a true reflection. I always like to spend an hour or so at the Bierfassl. Without stopping I would say travel time from Harrismith to Durban will be about 4h, give or take 15min. When we do this route we usually plan 6h.